NC State’s Think and Do attitude stretches across campus and around the world. To celebrate the far reaches of the Wolfpack community during International Education Month (IEM), the Office of Global Engagement and its partners across campus will host a variety of exciting events. A joint initiative between the U.S. Department of State and U.S. Department of Education, IEM promotes programs that prepare students for a global environment and attract future leaders from abroad to study, learn and exchange experiences. 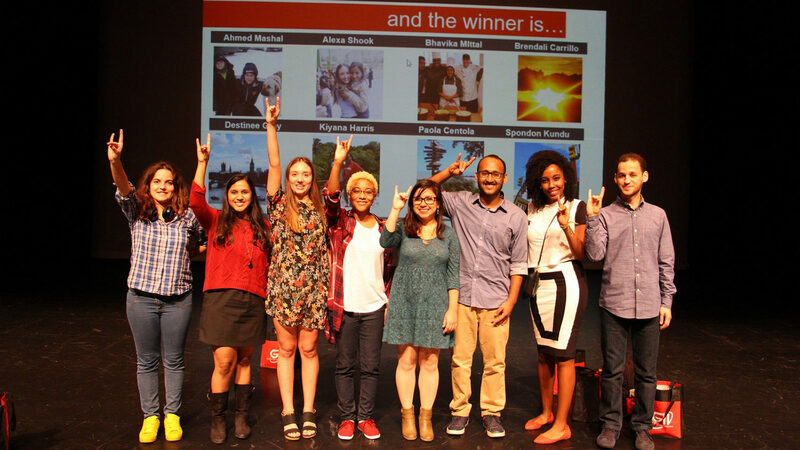 Below are six of NC State Global’s featured IEM events. View the NC State Global calendar for a full slate of programming. You can also follow NC State Global’s adventures during IEM on Facebook, Twitter and Instagram. The Global Tea & Coffee is an annual event that allows NC State to explore the world through tea, coffee and snacks without even leaving campus. Join international students as they share their culture at this informal and drop-by event. This event is free and open to the campus community. In this annual event, student competitors will share their global story in a timed, two-minute presentation with six image slides. Guests and attendees will vote for their favorites. Living on One Dollar follows the journey of four friends as they set out to live on just $1 a day for two months in rural Guatemala. The film will be introduced by Dr. Bob Patterson, Alumni Distinguished Professor of Crop Science in the College of Agriculture and Life Sciences. This screening is presented by NCSU Libraries, Multicultural Student Affairs, and the Office of Global Engagement as part of the Global Film Series. Enjoy a Taste of India for lunch at Clark and Case Dining Halls. The Office of Global Engagement, in conjunction with U.S. Citizenship and Immigration Services (USCIS), will host a naturalization ceremony recognizing new candidates for U.S. citizenship. Representatives from the USCIS Raleigh-Durham Field Office will administer the oath of allegiance and present candidates their certificates of naturalization. Representatives from the USCIS Raleigh-Durham Field Office will be on hand after the ceremony to answer immigration and citizenship-related questions. Members of the NC State community are invited to join the candidates, their families and friends in celebrating their newly obtained U.S. citizenship. This event is free and open to the public to observe.